Command Thrust: Big-time power. 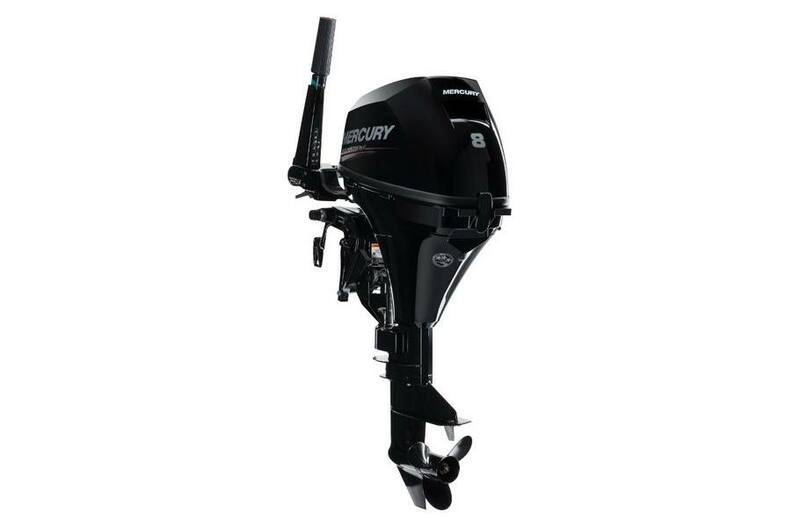 With a longer design and bigger components, Mercury Command Thrust was made specifically to deliver the type of power, thrust and control that wider, heavier boats demand. The Command Thrust Difference (Blue shaded areas represent prop and gearcase advantages): 20% larger prop increases control especially at low speeds. ; Taller gearcase puts the prop deeper, below turbulent water, for improved performance. ; A low 2.42:1 gear ratio delivers thrust and maneuveraility that big loads demand. ; Oversized Antiventilation Plate. Oversized design prevents air from being drawn into the prop, which increases efficiency. Power in the Palm of Your Hand: Tiller models feature the exclusive Mercury multifunction tiller that puts shifting; throttle control (with improved slow-speed throttle advance for optimal trolling); stopping; tilting; steering in the palm of your hand.